At AE Door & Window, we offer the most commercial garage door services to the business owners located throughout Northern Kentucky, Cincinnati and Eastgate, OH, including commercial door replacements and installations, repairs and maintenance plans. We guarantee service excellence, convenience and personalized attention for all of our customers, including free service estimates and after-hour services on all local commercial garage door emergencies. 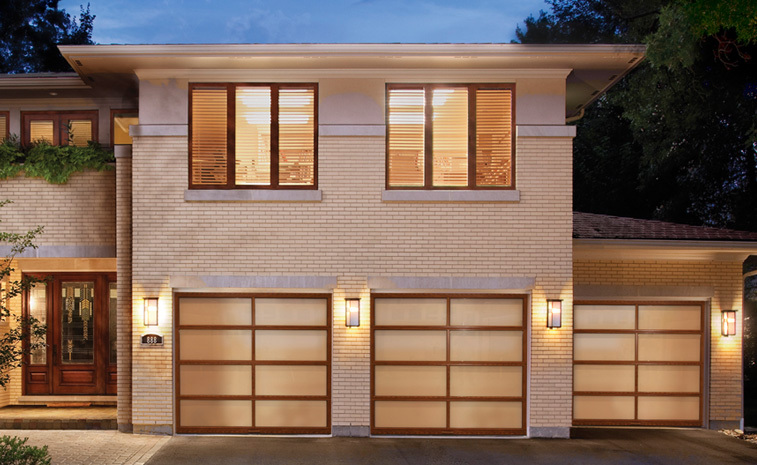 Installation: To achieve the most effective daily operations, you need the best and most dependable products — that’s why at AE Door & Window, we exclusively install Clopay garage doors. Our doors are thoroughly tested against the harshest climates and environments to ensure the longest lasting and most durable performance. We’ll work closely with you to find a commercial garage door replacement that best suits your business needs and budget. Repair services for any type or brand: When your door has damaged parts, like springs, rollers, panels or cables or other breakages, trust AE Door & Window to make responsive and thorough repairs. Our team works quickly and efficiently to diagnose the issue with your garage door and make quality repairs using the best parts and tools available to ensure your door remains in top-quality condition. Comprehensive maintenance plans: Keeping your garage door in pristine condition is easy with the help of AE Door & Window’s maintenance plans. With regular maintenance performed once annually by one of our experts, you can extend the longevity of your garage door system, save on unexpected repair costs and ensure safe daily operations. Why Choose AE Door & Window for Your Commercial Garage Door Replacement Services? Trained and expert technicians: All of our professionals have been extensively trained and understand the best repair and installation techniques available, using only the highest-quality tools and parts for all repairs, installation and maintenance projects. Same-day repairs: We know how crucial your commercial garage door is to your daily productivity, and our team can perform same-day services for all requests made before 11 in the morning. 24/7 emergency response: Commercial garage door repairs don’t always occur within a typical workday timeframe, and that’s why our service technicians are available to make repairs 24 hours a day to get your business back up and running quickly. Free service estimates: Before beginning any work, we invite you to receive a free estimate to best understand our competitive and transparent pricing. Service of all garage door brands: With over 30 years of experience, our team has seen it all — we can expertly and efficiently repair and maintain any garage door type or brand. Let the experts at AE Door & Window help you with any and all of your commercial garage door needs, including installations, repair, replacements and maintenance. We specialize in working with businesses throughout Cincinnati, OH, Northern Kentucky and beyond. Our highly trained team has over 30 years of commercial garage door experience, and we use only the highest-quality tools and products available to give you one-of-a-kind solutions that best suit your daily operational needs. Learn more about our commercial garage door services today by filling our our contact form or calling 513-742-1984 to speak to a specialist. To receive a free service estimate, simply complete our online form.